Florida’s midterm Senate election is a race to watch this November – and not just because it will be a tight match pitting a sitting governor, Republican Rick Scott, against a sitting senator, Democrat Bill Nelson. Black voters, who make up 16 percent of Florida’s population, will likely help tip the race in one candidate’s favor. Black Floridians have long been a swing constituency in the state and have played a key role in every close presidential race since 2000. That’s because not all black people in the United States are African-American. Florida is home to the country’s largest foreign-born black population. One in three black Miami metropolitan region residents today is an immigrant, according to the Pew Research Center. Many are from the Caribbean. The black immigrant population in the U.S. has more than quadrupled since 1980, led by an influx of Haitians and Jamaicans. An estimated 376,000 Haitians represent fully 2 percent of Florida’s population. Another 30,000 or so Floridians were born in Jamaica. As my 2018 book on “The Caribbeanization of Black Politics in America” outlines, these demographic shifts are upending political patterns in predominantly black communities. U.S. political analysts have long assumed that black people mostly think alike on policy issues and vote for the same candidates — namely, for Democrats. I have studied voting patterns of African-Americans, Cape Verdeans and West Indians in four cities: Boston, Chicago, Miami and New York City. I discovered that while these populations are mostly Democratic, foreign-born black communities in all four cities are more willing than African-Americans to put aside partisan differences and vote Republican. Haitians, in particular, lean in a more conservative direction than African-Americans and other Caribbean communities. My research found that Haitian voters in Boston, Chicago, Miami and New York City are more likely to identify as moderate or conservative than African-Americans. Haitians are also more likely to be members of the Republican Party and to run for office as Republicans. The first and only Haitian-American in Congress, Mia Love of Utah’s 4th district, is a Republican. In Florida, almost 4 percent of the Haitian-born population is Republican, according to University of Florida political scientist Daniel Smith. Just under 20 percent of Florida’s Haitian Americans are Democrats. Many others are not registered voters in the U.S., though they may remain active in Haitian politics. Donald Trump campaigned in Miami’s Little Haiti neighborhood in 2016. He went on to win 20 percent of Florida’s Haitian vote. After the election, Haitian-American activist Ezili Danto suggested that many Haitian Floridians had supported Trump in part to demonstrate that they won’t always vote Democratic. Many Haitians also believed the corruption allegations that had been leveled against the Clinton Foundation, whose work in Haiti after the 2010 earthquake left it with a bad reputation on the island. As Florida’s Caribbean population has boomed, these political differences have led to some showdowns between African-Americans and the Haitian community. The election of Republican Josaphat Celestin as mayor of North Miami in 2001 is illustrative. He was the first Haitian-American elected to lead a large U.S. city. As I outline in my book, Celestin’s campaign appealed directly to Haitian voters in this municipality of 60,000, by arguing that they needed their own political representation in a largely African-American city historically governed by white elected officials. The 2001 election brought not just Celestin to power, but also put a Haitian-American majority onto the five-member city council, ushering in a new era in North Miami politics. Haitian voters had successfully replaced the city’s old white political leadership with new black leadership. But they did so by defeating a Democrat, Duke Sorey, whom most native-born black Floridians hoped would become the city’s first black mayor. All of this means that neither Florida Senate candidate should take black voters for granted in November. Nelson, the Democratic sitting senator, has tradition on his side. Black Floridians — like African-Americans nationwide — have voted overwhelmingly Democratic in every election since 1948. In 2012, higher-than-usual black turnout for Barack Obama helped Nelson handily secure his second Senate term. As the only Democrat in statewide office in a state dominated by Republicans, Nelson will again need above-average black turnout to beat Scott. Yet the senator recently said he believes black Floridians are already “motivated” to vote for him and has faced accusations of not courting them enough. Meanwhile, Scott won 12 percent of black votes in 2014 — significantly more than the 8 percent of black voters Trump won nationwide in 2016. Florida’s Trinidad-born Lt. Gov. Jennifer Carroll was the first black female Republican elected to the Florida legislature and the first black Republican woman on a statewide ticket when she ran as Scott’s running mate in 2010. Carroll resigned in 2013 amid accusations of financial impropriety. She later wrote a book accusing Scott of treating her like an “unwanted stepchild” and using her to win black and female votes. As governor, too, Scott has in fact had a very tense relationship with black Floridians. In 2011, he reduced funding to the state’s two historically black private colleges, including Florida A&M University. That same year, Scott requested that Florida A&M’s president be suspended after the hazing death of a student, a decision the college’s board of trustees rejected. When students protested his recommendation, Scott suggested he could relate to them because he grew up in public housing. It was the second time the governor had insinuated that all black people are poor. On several occasions, Scott has also been accused of suppressing black voters by making it harder for formerly incarcerated people to restore their voting rights. I doubt Florida’s Haitian voters will support Scott as they did Trump in 2016. But the days of assuming that the black vote will definitely go Democratic are over. The black immigrant population in the U.S. has more than quadrupled since 1980, led by an influx of Haitians and Jamaicans. An estimated 376,000 Haitians represent fully 2 percent of Florida’s population. Another 30,000 or so Floridians were born in Jamaica. Moun ki ekri ATIK lan ap melanje tout bagay. MIA LOVE ,ki DEPITE de ETA UTAH ,se youn lan DEPITE ki pi REYAKSYONE lan KONGRE an.Se SEL DEPITE NWA REPIBLIKEN lan KONGRE an. Li pa menm MANB "BLACK CAUCUS" lan KONGRE an. Manmzel se tankou CLARENCE THOMAS ,sel MANM NWA lan KOU SIPREM lan.Si yon bagay ta rive CLARENCE THOMAS ,AFRIKEN-AMERIKEN t ap bay chante yon MES AKSYON DE GRAS. Pou yon AYISYEN ta vote REPIBLIKEN ,se oswa yo pa ENFOME ,oswa yo ESTIPID. MIA BOURDEAU LOVE vin sa yo rele yon "token" pou PATI REPIBLIKEN an. REPIBLIKEN yo gen 2 ELI FEDERAL NWA.Youn se SENATE TIM SCOTT (SOUTH CAROLINA) ,lot lan KONGRESMANN MIA LOVE. Se pou nou gade politik an jeneral. Pati repibliken pa gen menm repitasyon avek anpil gwoup etnik. Majorite peyi asiatik yo gen plis tandans pou rekonèt pati repibliken an. Majorite kiben yo tou. Kounyea nap remake ayisien ap swiv tandans saa. Gade istwa Josafa Selesten kòm repibliken. Gade kijan yo te resevwa Trump. Tradisyon pati demokrat lan te baze sou posisyon yo vizavi civil rights pou meriken nwa. Men depi ventan yo pèdi pye lan Eta lan sid yo e yo pa defann pozisyon nwa yo. Menm Obama se te yon desepsyon. Atraksyon nwa meriken yo se te epòk Kenedi ak nouvote diskou epi aksyon Robè Kenedi. Nouvo imigran yo pat viv epòk sayo. Epi yo soti lan peyi ki konsèvatè. 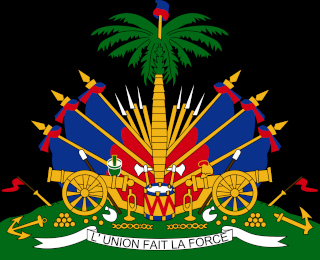 Komanse pa Ayiti. Si yon AYISYEN di li KONSEVATE e li ap vote REPIBLIKEN ;se tankou lot lan te di SE YON POUL KI AP VOTE POU KOLONEL SANDERS KI TE FONDE "KENTUCKY FRIED CHICKEN"
PATI REPIBLIKEN an ,ANTI-NWA,se la FOS li ye. Si ta gen kek AYISYEN ki ap vote REPIBLIKEN lan ETA FLORID lan ,se yon ERE KAPITAL. AYISYEN lan tout lot ETA yo ,tankou NOUYOK ak NOUJEZE ,95% ladan yo se DEMOKRAT yo VOTE. Kanta pou KIBEN lan FLORID yo,yo VOTE REPIBLIKEN se pou yon sel REZON se poutet POLITIK REPIBLIKEN yo pa RAPO ak KIBA. Se pa pa IDEYOLOJI non ke TRUMP "LIDYO" FEMEN OUVETI ak PEYI KIBA ;se pou VOT KIBEN an. Menm la,PASKE JENN KIBEN lan FLORID yo komanse VOTE menm jan ak RES LATINO yo:DEMOKRAT. Epitou ,ou pa bezwen "guess" men kijan POPILASYON an te vote an 2016;wa remake ke 2/3 LATINO ak AZYATIK te vote DEMOKRAT. Si nou fe plis RECHECH ,n ap konnen ki jan AYISYEN-AMERIKEN te vote. As the Haitian-American population has grown to more than 300,000 in South Florida, so too has its political influence. People with Haitian ancestry now hold office in Broward, Palm Beach and Miami-Dade counties. Major candidates court the region’s Haitian-American voters. And non-Haitians from both political parties are analyzing and attempting to engage with the community’s voters, hoping to reap long-term political gains. Ronald Surin, a vice president of the Haitian-American Democratic Club of Broward, said his community’s influence is increasing. To be sure, the number of elected officials isn’t large. The Haitian-American community doesn’t enjoy the clout of other long-established voting blocs in South Florida: African-American, Cuban-American, Jewish and Hispanic voters. And the Haitian community suffered a political setback last month when the Trump administration rejected calls for an 18-month extension of special immigration status for Haitians citizens living in the U.S. Months of rallies, news conferences, Twitter storms and pleas from politicians — Democrats and Republicans — failed. The Trump administration authorized a six-month extension of temporary protected status, with the secretary of homeland security explaining that the 58,000 people living and working legally in the U.S. since a devastating 2010 earthquake should use the time to put their affairs in order and prepare to leave the country. After the decision, leaders in the Haitian-American community, non-Haitian allies, and Democratic and Republican elected officials said they’d continue to push for a longer-term extension, with some professing optimism at the prospects of a reprieve from the Trump administration. In 1998, Claude P. Louissaint, now a Boca Raton business consultant, ran for a Broward-Palm Beach county state Senate seat in a district with mostly black voters. He was crushed in the Democratic primary. Louissaint said he was part of the first generation of would-be elected officials from South Florida’s Haitian community. They all lost that year, he said, but that soon started to change. North Miami elected a Haitian-American to the City Council in 1999, and a district that includes Miami’s Little Haiti community sent a Haitian-American to the state House of Representatives in 2000. Now, each of the three South Florida counties has Haitian-American elected officials. The importance of having even a small number of elected officials of Haitian ancestry, even though they represent a broader constituency than just the Haitian community, can’t be overstated, said Marc Lafalaise, president of the United Haitian-American Democratic Club in Palm Beach County. “We have someone there who can advocate there for us,” he said. Major political figures are courting Haitian-American voters. As a presidential candidate, Donald Trump visited Miami’s Little Haiti last year, calling those he met “unbelievable people” and promising to champion Haiti and its people. Barnett pushed for and helped orchestrate the visit. He said the campaign took pains to make sure the visit received extensive coverage in Haitian community media outlets. Democrat Hillary Clinton also stopped in Little Haiti. She was a constant visitor to South Florida during the general election campaign, but her Little Haiti appearance wasn’t until seven weeks after Trump’s. In 2014, Republican Gov. Rick Scott, who was engaged in a neck-and-neck campaign for re-election (he ultimately won by just 1 percentage point) courted Haitian-American church pastors in Palm Beach County and met with others in the community, something Barnett said Scott has continued. The governor can’t run for re-election next year because of term limits but is widely expected to run for U.S. Senate. The number of people with Haitian ancestry has increased much more than the growth of the overall population in Broward, Palm Beach and Miami-Dade counties in the past decade. The Census Bureau estimated Broward was home to 116,818 people of Haitian ancestry in 2015, the most recent year for which numbers are available. That’s an increase of 24 percent since 2007. Broward’s total population increased 4 percent during that same time. An estimated 77,785 people of Haitian ancestry lived in Palm Beach County, an increase of 43 percent from 2007 to 2015. Palm Beach County’s total population increased 9 percent during that time. An estimated 127,189 people of Haitian ancestry lived in Miami-Dade County in 2015. That’s an increase of 18 percent, compared with the county’s overall population increase of 11 percent. Kevin Hill, a political scientist at Florida International University, said a critical mass of population is crucial to create political influence. That doesn’t just mean numbers. That younger generation doesn’t have the same kind of desire to return to Haiti, which has had decades of political turmoil and natural disasters. Many have interests that extend beyond Haiti and immigration policy. Louissaint and Barnett said the Haitian community’s voters are largely Democratic. If both parties think there’s benefit from working in the Haitian community, that gives voters the kind of clout they might not enjoy if they’re automatically seen as reflexively voting all of the time for only one party. Louissaint said many Haitian-Americans, though registered as Democrats, are philosophically conservative, and church leaders who he said tend to be conservative have lots of influence. Voter registration records don’t break down voters’ ancestries. Hill said he thinks it’s unlikely that Republicans can ultimately win large percentages of the vote in the Haitian community. But, even a relatively small percentage can make the difference between winning and losing in a close election. Louissaint said the Cuban-American community provides a model for Haitian-Americans. Broward County: County Judge Florence Taylor Barner; Miramar Commissioner Darline B. Riggs; North Lauderdale Commissioner Samson Borgelin. Palm Beach County: County Commissioner Mack Bernard; state Rep. Al Jacquet of Lantana; Boynton Beach Commissioner Christina Romelus. Miami-Dade County: State Sen. Daphne Campbell; County Commissioner Jean Monestime, who served two years as board chairman; several municipal governments. Le m di ke lan RECHECH ou ka jwenn ki jan AYISYEN AMERIKEN vote. CHIF sa yo sejousi ,yo presi ,ak sa yo rele "algorithm" marie ak estatistik. REPIBLIKEN yo te we yon OUVETI ak ESKANDAL CLINTON yo ak lajan CIRH lan.Malgre sa mwen ta ETONE anpil menm si 20% AYISYEN ta vote REPIBLIKEN an FLORID lan denye ELEKSYON yo. Se sel si PASTE PWOTESTAN yo ta fe yo pedi LOLOJ yo. Tankou m di l ,PATI REPIBLIKEN an ,lan tan sa yo ,se yon PATI ANTI MINORITE. "REDNECKS" yo vote an MAS REPIBLIKEN ,menm si sa kont ENTERE EKONOMIK yo. Sa gen BAZ ISTORIK . DONALD TRUMP se yon NOUYOKE.Li fet e grandi lan QUEENS.Li pa janm rete lot kote ke NOUYOK ,men kan misye prezante kom kandida REPIBLIKEN ,lan nivo federal;grann majorite NOUYOKE yo vote kont li ;plis ke 65%. Se pou ETA NOUYOK lan ,pou VIL NOUYOK lan menm (kote DONALD TRUMP te fet) se plis ke 80%. PATI REPIBLIKEN an ,vin yon PATI RASIS;yo vire BOUCH yo men yo pa kache sa an fet. An pasan se te youn lan GE pi SANGLAN lan tout ISTWA.Lan yon POPILASYON 32 MILYON lan EPOK lan,te gen 1 MILYON MOUN ki te MOURI. » Bill Clinton pledges love for Haiti, promises help. Eske se politik?